On December 15, in the capital of Turkey Ankara, a solemn reception was held in honor of the 100th anniversary of the First Qurultay of the Crimean Tatar people with the participation of the Ukrainian Embassy in Turkey, the press service of the Ukrainian diplomatic representation informed on Twitter. The people's deputy of Ukraine, the Chairman of Mejlis of the Crimean Tatar people Refat Chubarov took part in the celebrations. — Ukraine in Turkey (@UKRinTR) 15 декабря 2017 г. During his speech, the Ukrainian Ambassador to Turkey Andrii Sibiha stressed that "the historical destinies of the Ukrainian and Crimean Tatar peoples are inextricably linked." "The truth is with us!" Together we win!” he said. Earlier in the Verkhovna Rada of Ukraine held a solemn meeting which was held dedicated to the 100th anniversary of the First Qurultay of the Crimean Tatar people. The same day, Ukrainian President Petro Poroshenko congratulated the Crimean Tatars on the 100th anniversary of the First Qurultay. In his appeal, the head of state quoted the words of the Mufti of the Crimea, Noman Çelebicihan at the First Qurultay of the Crimean Tatar people: "On this day, our political life, which broke off a century and a half ago, finds a truly new birth." Poroshenko noted that the current annexation of the Crimea by Russia, which dreams of imperial ambitions, once again brought hostility and fear to the peninsula, as well as oppression and repression against the Crimean Tatars, Ukrainians, representatives of other nationalities - all those who remain loyal to the Ukrainian state. 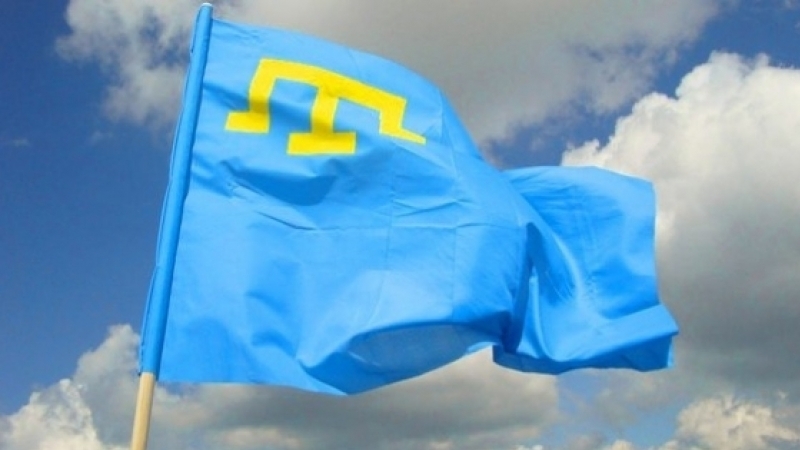 Earlier, Prime Minister of Ukraine Volodymir Groysman congratulated the Crimean Tatars on the 100th anniversary of the First Qurultay of the Crimean Tatar people. In his greetings, Groysman called the Crimean Tatars brothers and sisters. Reference: The First Qurultay of the Crimean Tatar people was opened on November 26 (December 9th in a new style) in 1917 in the Khans palace in Bakhchysarai. It proclaimed the creation of the Crimean People's Republic, adopted its Constitution and state symbols, after which declared itself the parliament of the Crimean People's Republic. The government was headed by Noman Çelebicihan. The Second Qurultay was convened already in 1991, two years after the mass return of the Crimean Tatars from the places where they lived after the deportation of 1944.